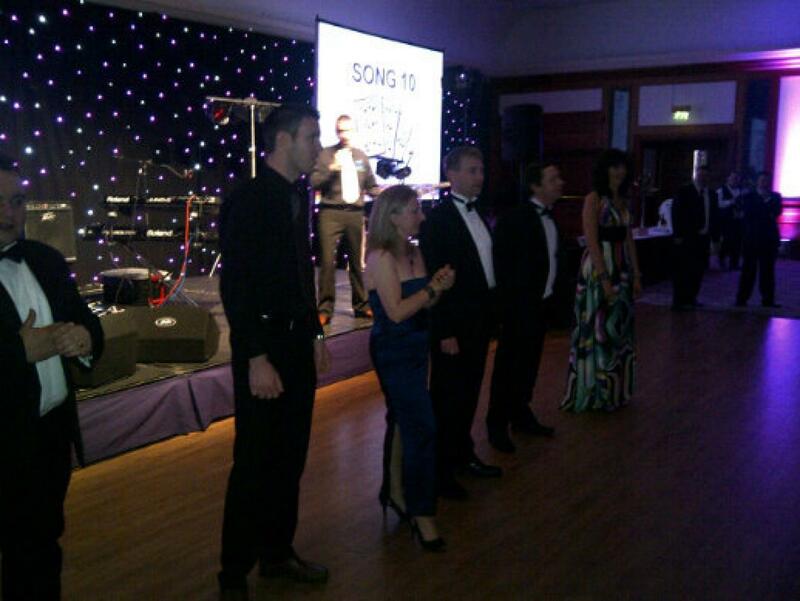 Team Challenge Company were delighted to be invited along to support the fabulous Thistle Hotels Inaugural Charity Ball at the magnificent Thistle Glasgow Hotel. Team Challenge Company were delighted to be invited along to support the fabulous Thistle Hotels Inaugural Charity Ball at the magnificent Thistle Glasgow Hotel. We of course jumped at the opportunity to be part of such a wonderful evening, and gave our support by providing some fun-filled and highly energetic pre-dinner entertainment in the shape of our event popular Generation Game Show Round, Hit or Miss. As the 600 guests poured into the Thistle Glasgow Hotel, fully adorned in wonderful Black Tie and Ballgown attire, they were met with a fabulous site of grandeur and splendour of the spectacular Ball Room Suite, all completely dressed and ready for the evening proceedings. With the ever-hilarious scottish comedian Andy Cameron compere for the evening's proceedings, it was a truly unforgettable night for all in attendance. The pre-dinner Hit or Miss Generation Game Show Round went down a storm, ensuring a high-energy buzz throughout the Ball Room as we sat down to a most wonderful dinner.